Our team of experienced engineers are at your disposal. They are experts in boiler servicing. Our services are available 24/7.They range from maintenance to fixing gas and boiler leaks, central heating repairs, boiler installation repairs, replacement and gas central heating installation. We provide wholesome packages so that you do not waste time and money moving up and down. We have inspection programs created to keep your apparatus in good working condition. The aim of the program is to correct structural faults and to arrest any possibilities of injuries that may arise from leakages and explosions. Boilers can turn out to be a source of myriad dangers. If not handled professionally they can result to destruction of property and death. There are several benefits that come with regular servicing of boilers. It ensures the apparatus operates optimally, safely and efficiently. We spare no efforts to deliver competitive boiler repair services. 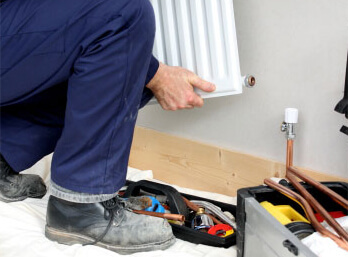 We specialize in central heating installations and repairs, maintenance and fixing gas and boiler leaks. We conduct elaborate inspections on boiler controls and carry out general boiler maintenance practice with great zeal. We also conduct tests and perform repairs on your appliance using the standard procedure. We take less than 24 hours to complete the whole operation from the time you contact us. Are you in need of a boiler? Do you reside in Musselburgh, Dalkeith, Livingston, Leith or Blackford areas? Call us today for quality and durable boiler instillation. We install boilers at affordable prices. All boiler installations and repairs are carried out by our team of experts who are dully registered gas installers. We observe all boiler and pressure vessel code standards as laid down by the relevant regulatory bodies, for we are licensed and authorized to carry out boiler installation services anywhere in Edinburgh. Our experience spans over 15years where we have managed to keep up with technology and employ the latest inventions to install and to maintain your boiler. Leakages are tell signs of boiler malfunction. They should be taken seriously and remedied as fast as possible to avoid damage to property or loss of life. At Eco EfficientEdinburgh, we offer leak services at an affordable price. We employ the latest technology to fix leakages of all sorts. Our engineers are skilled in conducting sophisticated boiler inspection while at the same versed in general boiler maintenance and servicing. They use a wide range of leak detection equipment like pipe inspection cameras, or utility location equipments to carry out this elaborate process. We invest in the latest technology to ensure quality. Our gas and boiler leak services are available each day of the week, all year round. 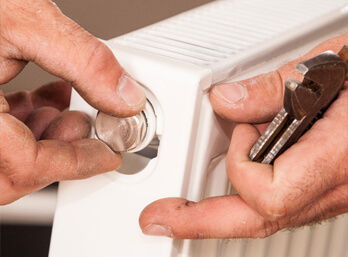 We specialize in central heating installations and repairs. Our team of professionals are versed in all the technical aspects of executing the whole operation. Once you contact us, we advise you on the best options depending on a number of factors like the available physical space and money. We install both regular and Combi boiler system at pocket friendly quotes. We also offer regular routine maintenance practices under a convenient arrangement. 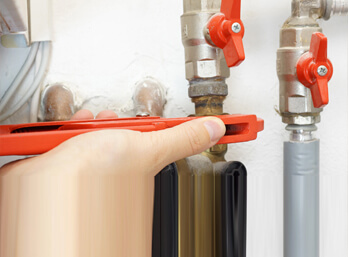 Regular or annual boiler servicing allows for rigorous routine inspection and repair of the central heating system. Be it for home or business use, we are dedicated to provide durable and affordable services in Leith, Musselburgh, Dalkeith, Livingston, and Blackford, at no extra charge. We have the equipment to locate and detect faults in the system with excellent accuracy. We offer you quality solutions to your problems so that you get the value of your money. Whatever the make of your heating system and whatever the size and complexity, we guarantee you durable solution any time. With only a simple call to our customer desk, you stand to immensely benefit from our partnership. Contact today for emergency heating services. We are the best in the industry. We stop at nothing to give you the best! Our customer care department is waiting to hear from you.